Speshely with heavy modded games it's very complex to understand the different production processes. Thies mod should help you to understand this different dependencies. During the development of the mod was for me the user-friendliness especially important. 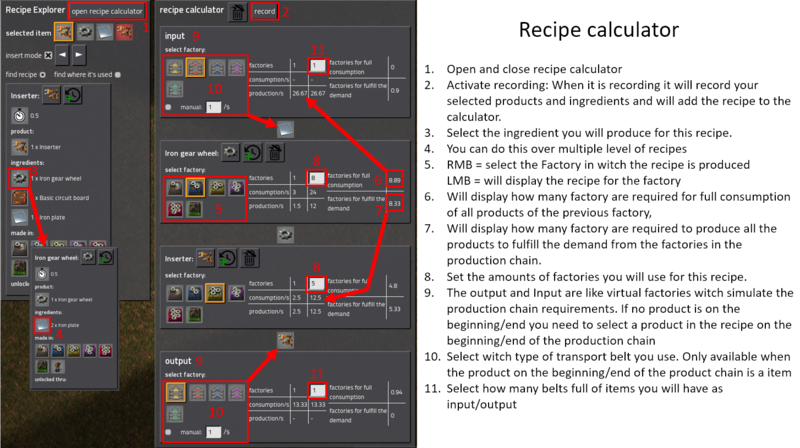 - bug fixed when a recipe has the same product multiple times. 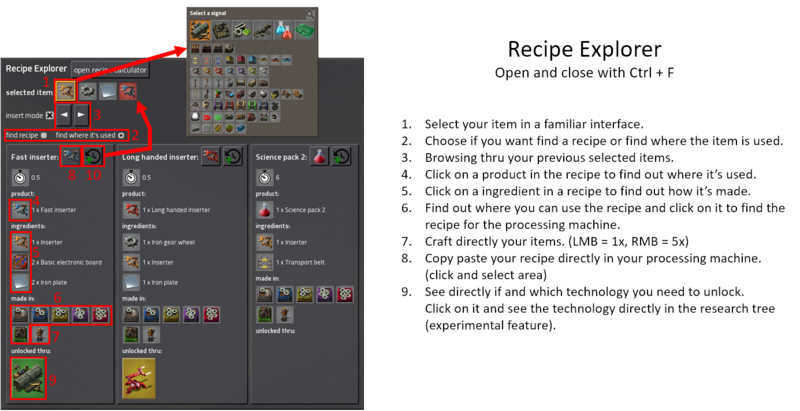 - bug fixed when a recipe has multiple ways to unlock a the trecipe. - bug fix in combination with recipe pasting. - bug fix in combination with the selection box. - bug fix left click on item selection box.